Medical terms, medical related jobs, medical conditions and medical instruments. But nothing good enough to self-diagnose with, just the basics! You are allergic to something if your body has a bad reaction to it. Allergic reactions can include getting a rash, sneezing, getting watery eyes or having difficulty breathing. 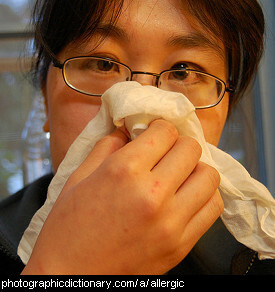 People are often allergic to dogs or cats, pollen or insect stings. 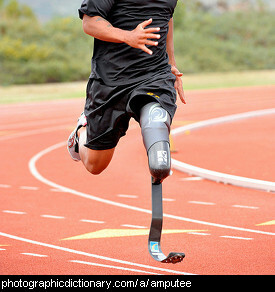 An amputee is someone who has had one or more limbs removed. People are most likely to lose a limb through an accident of some kind. 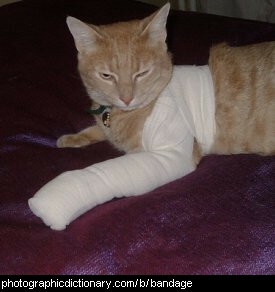 A bandage is a long, thin strip of fabric that you wrap around a part of your body that is hurt. You often see people who have a sprained ankle with a bandage wrapped around it. 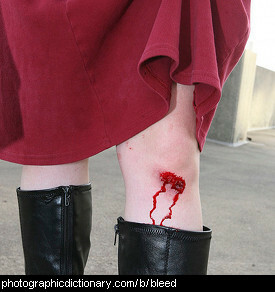 You bleed when you lose blood from where it is supposed to be. When you cut yourself, you bleed. 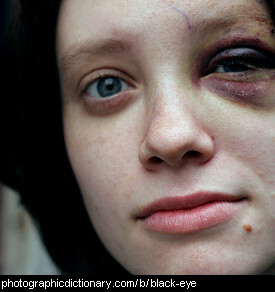 A bruise forms when you bleed inside, and the blood makes a dark patch under your skin. A person or animal is blind if they cannot see. People who are blind can still live very full lives. 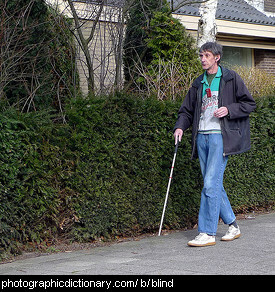 They can read books written in braille and can travel around with the help of a white cane or a seeing eye dog. A blister is a kind of fluid-filled bubble under your skin. You get blisters from shoes that rub and from being burnt. 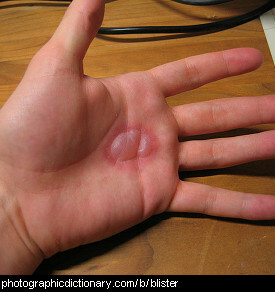 Anything that looks like a blister can be described the same way, for example tablets that are sold in blister packs. 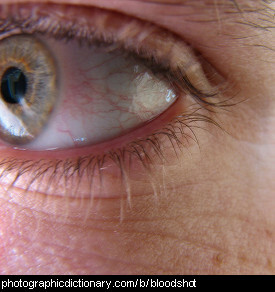 Your eyes are bloodshot if you can clearly see the blood vessels in them. You get bloodshot eyes when you are very tired, dehydrated, have conjunctivitis, or if your eyes have been damaged by something. 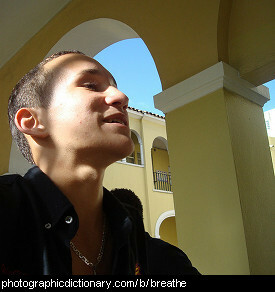 You breathe when you draw air into your lungs through your nose or mouth, and then back out again. Breathing in is inhaling and breathing out is exhaling.